Eating An Egg A Day May Be Beneficial? 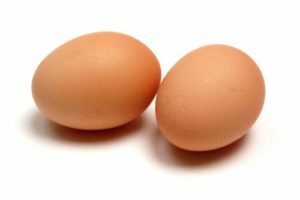 Author SimaPublished on February 3, 2017 March 27, 2018 Leave a comment on Eating An Egg A Day May Be Beneficial? Remember all the dietary advice that for years told us to avoid or limit consumption of eggs - that since they were high in cholesterol, they were bad for us and would increase our risk for heart disease? And the nonsense that we should only eat the egg whites while throwing out the yolks? Hah...That advice was wrong, which another recent study confirms. Eggs are an amazingly nutritious food. They’re loaded with high quality protein, healthy fats, vitamins, minerals, high in choline (a brain nutrient), biotin, antioxidants, lutein, and zeaxanthin. One review of studies (involving millions of people) looked at whole egg consumption and found that high egg consumption (up to one egg per day) is not associated with increased risk of coronary heart disease or stroke, and in fact there was a reduced risk of hemorrhagic stroke. Only among diabetics was there an elevated risk of coronary heart disease with high egg consumption (up to 1 egg per day). Another study found a lower risk of type 2 diabetes in middle-aged men (see post). A new study from the University of Eastern Finland shows that a relatively high intake of dietary cholesterol, or eating one egg every day, are not associated with an elevated risk of dementia or Alzheimer's disease. Furthermore, no association was found in persons carrying the APOE4 gene variant that affects cholesterol metabolism and increases the risk of memory disorders. APOE4 is common in Finland. The dietary habits of 2,497 men aged between 42 and 60 years and with no baseline diagnosis of a memory disorder were assessed at the onset the Kuopio Ischaemic Heart Disease Risk Factor Study, KIHD, in 1984-1989 at the University of Eastern Finland. During a follow-up of 22 years, 337 men were diagnosed with a memory disorder, 266 of them with Alzheimer's disease. 32.5 per cent of the study participants were carriers of APOE4. The study found that a high intake of dietary cholesterol was not associated with the risk of dementia or Alzheimer's disease -- not in the entire study population nor in the carriers of APOE4. Moreover, the consumption of eggs, which are a significant source of dietary cholesterol, was not associated with the risk of dementia or Alzheimer's disease. On the contrary, the consumption of eggs was associated with better results in certain tests measuring cognitive performance. Next article:Gut Bacteria Linked to Hypertension?